Ever since reading conflicting reports about the safety of carrageenans in organic products I’ve been wanting to experiment with making own non-dairy “milk”. 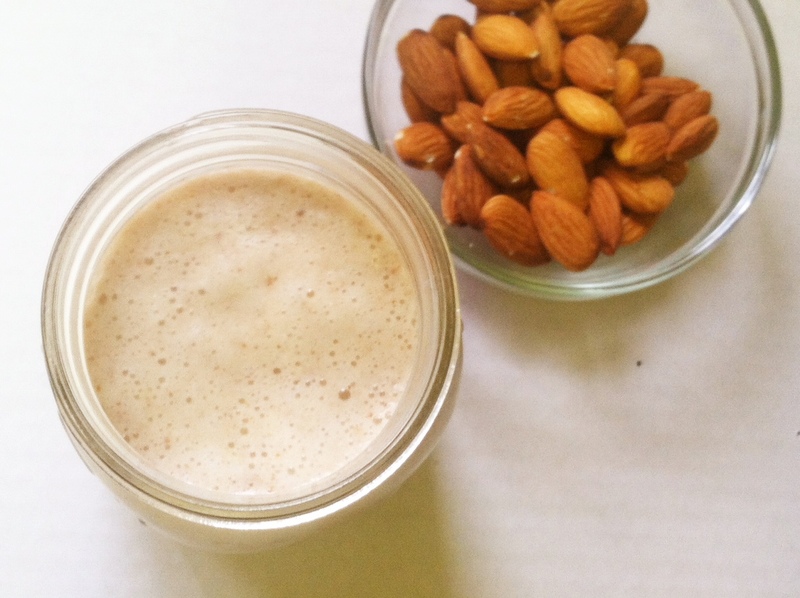 Recently I had the opportunity to try my hand at Homemade Almond Milk. The recipe calls for you to soak the almonds and medjool dates over night, peel the almonds, then process everything with water. Pretty straightforward. When comparing it to store bought my blend wasn’t completely smooth and contained fine bits of almonds. The taste is mildly sweet with a similar consistency to store bought. Of course since it’s all natural and devoid of the stabilizers, preservatives, and other binders that go into store blends this one separates after sitting. But a few quick shakes and it’s ready to drink again. I will definitely use it in my smoothies but do not think I’ll be making any large batches anytime soon. 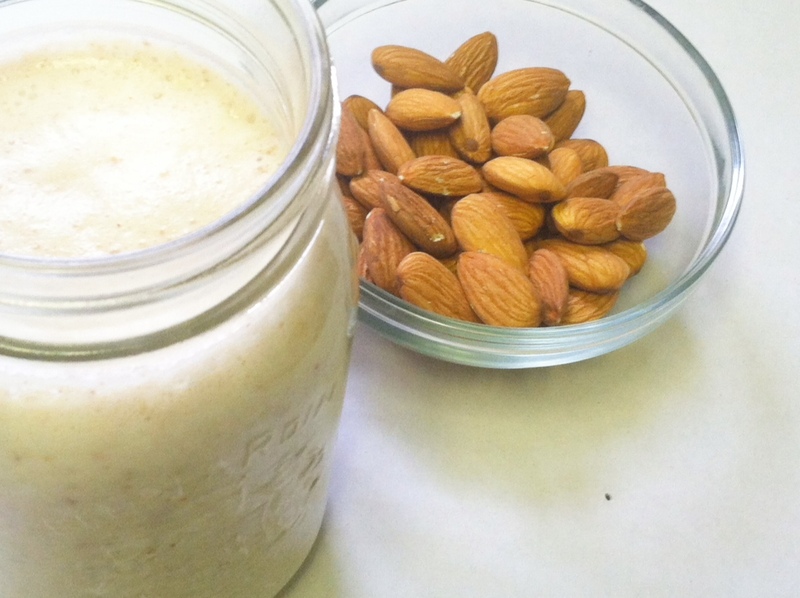 However I will begin to blend my own more often since almond is the only milk I drink on a regular basis. Overall it was fun experimenting and nice to know how to blend up my own batch if ever in a pinch. See the link below for the recipe.